Northern Saskatchewan history and experiences. Northern Saskatchewan is a place of real natural beauty, of vast, boreal forests and lakes reaching straight up to the Northwest Territories. The majority of Canada's lakes are in this region, thousands upon thousands of clean lakes, rivers and streams just waiting to be discovered. Book accommodations in Northern Saskatchewan today and experience the free spirited adventure of the north. On the sloping south bank of the North Saskatchewan River is Prince Albert, a mining, forestry and agricultural center. 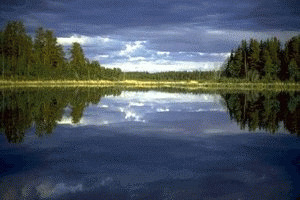 Nearby Prince Albert National Park is the largest protected area in the province and a popular vacation resort. The summertime lake experience is lived out at Waskesiu Lake, one of the province's most popular tourist destinations. Located in Prince Albert National Park, Waskesiu is a shopping, cross-country skiing, dining, golfing, swimming and boating paradise. Historically a trading center for First Nations people, La Ronge is still the centre of northern activity today. Situated in Christopher Lake, this hotel provides free Wi-Fi in all guest rooms. An on-site pub features shuffleboard and billiards. Emma Lake Golf Course is 6 minutes away. A TV and a DVD player are provided in the rooms. An en suite bathroom offers free toiletries. A shared refrigerator, microwave, coffee maker, and toaster are provided. Free parking is included. Conveniently located less than one mile from the Kinsmen Water Park, the Kinsmen Arena and Northern Lights Casino, offering gambling, live entertainment, a restaurant and a gift shop. This Prince Albert hotel is minutes from Little Red River Park and the Prince Albert Historical Museum. This Prince Albert hotel is a full-service property offering the best in customer service as well as convenient access to several of the area's most popular attractions including the Rotary Police Museum, Little Red River Park and the Diefenbaker House Museum.